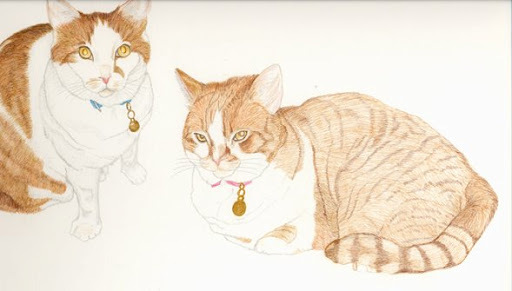 I am continuing my work on the cats portrait. I’ve tweaked the first cat enough that I think it is mostly finished. I’ve switched my focus to the second cat at the moment. Starting to fill in the markings and initial layers of color. Previous Happy 1st Day of Spring! Wow, really awesome kitties! :)))) Amazing detail in your work!